Some changes are minor, such as the decrease in text size. Others are more fundamental changes to the way we manage manage and interact with them. Notification Center now looks much more organized and is easier to parse. Never again will you have to worry about a text chain taking over Notification Center. With iOS 12, alerts are grouped by the app that sent them. Each individual category can be expanded by tapping on it, then collapsed by tapping the Show Less button that appears above (as well as below) the notifications. When you swipe left on notifications, there are three options to "Manage", "Clear", or "View" the notification, or stack. 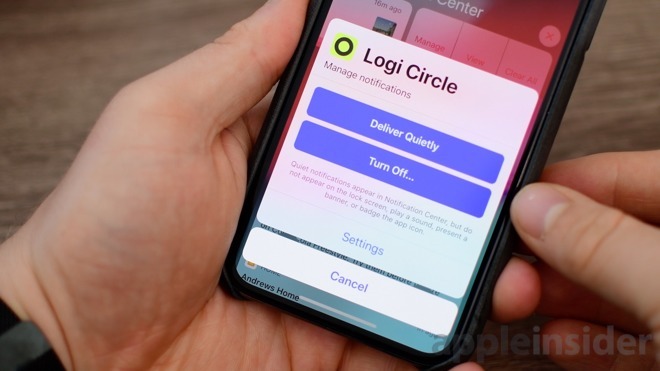 Tapping Manage on a notification brings up a new modal dialog box with the options to "delivery quietly," disable, or jump into Settings for further tweaking. When notifications are delivered quietly, they go straight to Notification Center without alerting the user. This is useful for things you want to know, but don't need to be bothered with constantly. Siri Suggestions are seen throughout the new OS. One of our favorites regards notifications and Do Not Disturb mode. 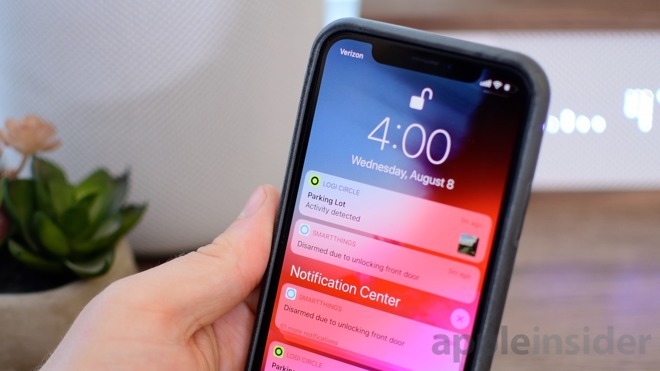 Whenever Siri detects a dinner in your calendar or a movie ticket in Wallet, it will suggest you turn on Do Not Disturb during that time to mute notifications. Do Not Disturb will be turned off when the appointment ends or when you leave the theater, leaving you with no task to complete. There are surely other situations and calendar appointments where this applies, but we will have to see as time goes on and iOS 12 is installed by more users. Another use of Siri Suggestions is with often untouched notifications. Any notifications that come in and are rarely interacted with by the user will see a suggestion appear below them to either deliver quietly or disable. 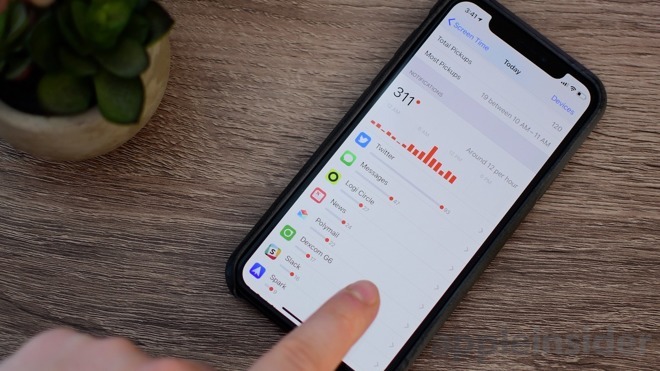 As part of Screen Time, Apple's new digital health feature, there is a useful area that provides analytics on notifications. It lets users see how many notifications are received, and which applications are sending them. The goal being users are able to see which apps are pestering them most often and can make changes to which are being sent. More actions will be able to be completed right from the notification without the need to launch the app. This includes actions such as liking a photo on Instagram or scrolling through a whole email. This will take developer support to enable, but we should start seeing the effects shortly after iOS 12 is released this fall. When scheduling Do Not Disturb mode, users are now able to turn on Bedtime mode. Bedtime mode sends all calls and notifications directly to Notification Center. When the user wakes up in the morning, they aren't greeted by a bloated lock screen full of alerts but are instead eased into them on their own time. As is abundantly clear, Apple has put much effort into minimizing notifications and reducing dependence on our devices. Some alerts however still need to be delivered, even when things, like Do Not Disturb, are turned on. A diabetic who sees their blood sugar levels dropping above or below healthy levels should still receive that alert, even if Do Not Disturb is enabled. There is a bit of a workaround for developers now, but iOS 12 makes critical alerts more official. These critical alerts are only for certain app categories such as health apps, and require a special entitlement granted by Apple. So, don't expect all apps to be able to constantly bother you. All of these changes, and much more will be arriving this fall in iOS 12 for iPhones and iPads.